Home / Africa / The African People face an existential Threat. 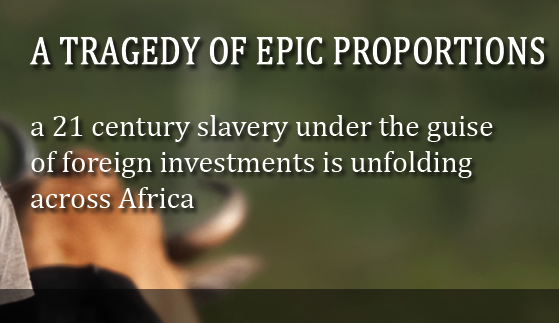 The African people face an existential threat. With the enthusiastic support of some African governments, foreign countries and companies and wealthy foreigners are rapidly taking over the productive lands in Africa and turning Africans into refugees and slave laborers in their own homeland. What is left after the investors have used the land to their benefit. Human Rights Watch says it has evidence that some 70,000 indigenous people in the western Gambella region (in Ethiopia) were relocated against their will to new villages that “lack adequate food, farmland, healthcare and educational facilities. Land grabbing is the contentious issue of large-scale land acquisitions; the buying or leasing of large pieces of land in developing countries, by domestic and transnational companies, governments, and individuals. While used broadly throughout history, land grabbing as used today primarily refers to large-scale land acquisitions following the 2007-2008 world food price crisis. By prompting food security fears within the developed world and newfound economic opportunities for agricultural investors and speculators, the food price crisis caused a dramatic spike in large-scale agricultural investments, primarily foreign, in the Global South for the purposes of food and biofuels production. 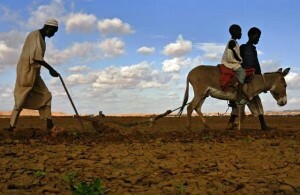 Initially hailed by investors and some developing countries as a new pathway towards agricultural development, investment in land has recently been criticized by a number of civil society, governmental, and multinational actors for the various negative impacts that it has had on local communities. The target locations of most land grabs are in the Global South, with 70% of land grabs concentrated in Sub-Saharan Africa. Other primary areas of note are in Southeast Asia and Latin America. A research funded by the Pan Africa Programme of Oxfam International, conducted by Tinyade Kachika, Senior researcher. Land Grabs: Another Yoke over Women’s Land Rights? Countries, Companies and Individuals Involved. Large-scale land deals in Africa should be cause for concern, but whether they’re good or bad is not a black-and-white issue – and much of what we think we know about them is wrong, a land expert says in a new book. 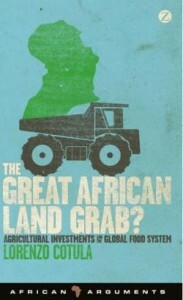 Land “grabbing” in Africa has become a polarizing issue, says Lorenzo Cotula, a senior researcher at the International Institute for Environment and Development (IIED), in his new book, The Great African Land Grab? Many people are concerned about the harm to human rights, the environment and local people and economies that often accompany large-scale land acquisitions. Others argue that these deals will bring about speedy development. While strong public engagement on the issue is good, the researcher said, misconceptions exist on both sides. Much of The Great African Land Grab? focuses on how much is unclear about the problem in the first place, including basic issues such as how much land is being acquired, who is buying it, and for what reason. One major point of contention is the actual scale of land acquisitions. Cotula found that the overall number of land deals tends to be overstated by independent reports and the media. This is because lots of potential deals are reported but never actually go through, for example. What’s particularly important, he said, is not the overall scale of acquisitions, but “how deals are increasing pressures at a local level.” Even failed deals can exacerbate existing pressures on the land, he said. A great deal of misconception also surrounds who is buying or renting the most land. Cotula said a common perception is that China and the Middle East are big players. But in fact, current evidence suggests that the total area of China’s confirmed land deals in Africa would be equal to just one by a company listed on the Singapore Stock Exchange. In reality, he said, far more land deals involve European and North American companies. Powerful people in the countries themselves – large-scale farmers, civil servants, traders and politicians among them – also account for a major portion of land acquisitions. A World Bank study, spanning 2004-09, reported that nationals were often responsible for anywhere from 50 to 97 percent of land deals in their countries. Land deals affect people at a local level in different ways, Cotula said. Some may benefit while others are harmed by the changes. “A degree of complexity emerges when you talk to villagers and find that not everyone has the same views in relation to the project,” Cotula said. But the overall effect tends to be negative, he said. Examining models and case studies on different forms of investment in agriculture, and how they work in different contexts, could be useful in helping people make good decisions, Cotula said. There has been a wave of local mobilization against unfair land deals in recent years. Where locals have taken action in a variety of ways, such as going to court, holding public protests and bringing their concerns to lenders or an industry roundtable, governments have sometimes responded by shifting their policy and becoming more cautious about land deals, Cotula said. Is ‘land grabbing’ good for Africa? Over the last couple of years, large-scale acquisitions of farmland in Africa, Latin America and Asia have made headlines across the world. According to a US-based think tank – the International Food Policy Research Institute, nearly $20bn to $30bn a year is being spent by rich countries on land in developing countries. The investors include some of the world’s largest food, financial and car companies. The issue described as “land grabbing” by its critics has been particularly contentious in sub-Saharan Africa because land there is considered central to identity, food security and livelihoods. Ethiopia, South Sudan, Mozambique, Liberia, the DRC and Sierra Leone have all signed sizeable land deals with foreign investors. The host governments and investors say that these investments will lead to economic development; promising employment, infrastructure and social services. However human rights groups argue that the main beneficiaries of “land grabs” are the foreign investors, because most of them produce commodities for export. They argue that the land deals are not done transparently, hence creating a breeding ground for corruption. So is it a land grab or a development opportunity? Is land grabbing actually good for Africa?